High Shear Counter-Current: Simply the most effective mixing technology available. 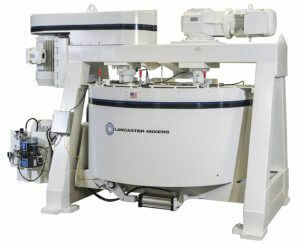 High Shear Mixing: Blend, Pelletize & Granulate in One Machine for Reduced Mixing Time and Costs. Lancaster Products High-Performance Mixing and Pelletizing Machines provide one-step convenience for a wide range of application options. We produce the most efficient and effective mixing technology available today: high shear counter-current mixing – yielding higher throughput, more homogenous outputs and the flexibility of a one-step granulation and pelletization machine. 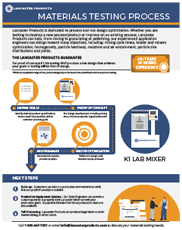 Lancaster Products is dedicated to process and mix design optimization.  Whether you are looking to develop a new process/product or improve on an existing process, Lancaster Products can help. From mixing to granulating or pelletizing, our experienced application engineers can design toward many objectives, including: mixing cycle times, binder and minors optimization, homogeneity, particle hardness, moisture and air entrainment, particle size distributions and yields. LEBANON, Pennsylvania – The new and completely redesigned website offers visitors richer insight into the Company’s high efficiency mixing, pelletizing and crushing solutions for a wide variety of industries and materials. Lancaster Products combines decades of mixing experience, working across multiple industries, with the finest granulating and pelletizing mixer technology. 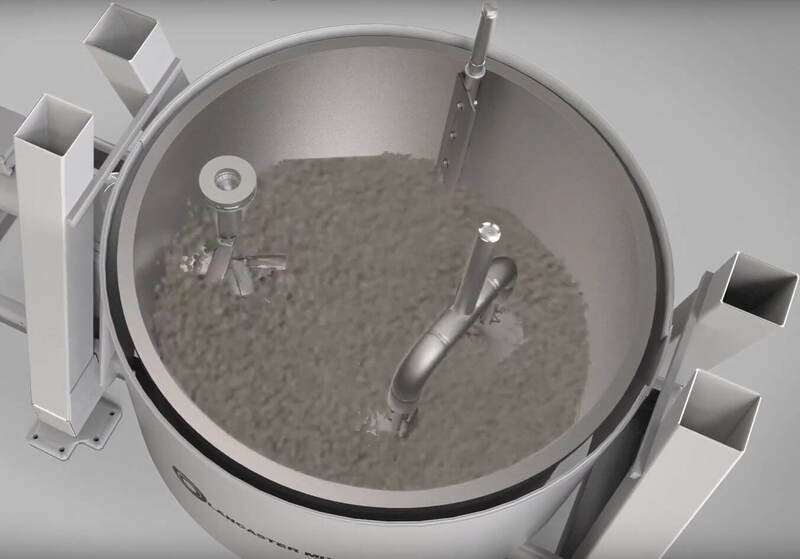 Mix and pelletize in the same operation, supplanting the need for multiple pieces of mixing and pelletizing equipment in a process. Rapidly homogenize multiple ingredients with majors in a mix resulting in higher quality products and reduced reaction times. Mix and granulate bulk material in a variety of industries including building materials, high performance ceramics, fertilizers, flat panel glass, refractory and recycling of waste materials. All in ONE Machines – For blending, Pelletizing, granulating, Slurrying, Dissolving, De-Dusting and Reacting. We make high-throughput industrial mixing machines for customers in industries as diverse as ceramics, glass, refractories, and proppants. Our engineers and manufacturing team design, build and support our line of high-throughput material processing equipment to your specific requirements.